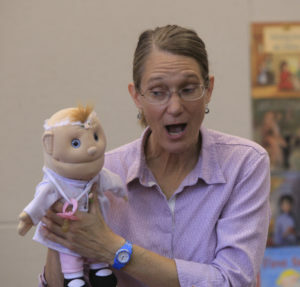 In case you haven’t been following along, the Lawrence algebra teacher who took part in a competitive reality show is still in the running after six episodes. 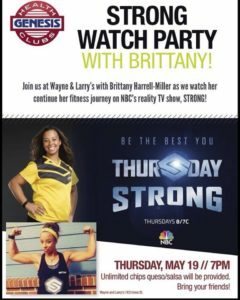 Liberty Memorial Central Middle School algebra teacher Brittany Harrell-Miller recently took part in the reality show “Strong.” The show premiered last month on NBC and episode 7 of the show will be broadcast on Thursday. Harrell-Miller let me know that this episode will reveal whether she advances to the top three teams. As part of the show, Harrell-Miller competed against nine other women in strength and conditioning challenges. Each woman is paired with a professional trainer, and at the end of each week one team is eliminated. The winning team is awarded $500,000. Harrell-Miller, a Lawrence native, will be hosting a watch party open to the public for Thursday’s episode. The watch party will be 7 p.m. on Thursday at Wayne & Larry’s Sports Bar & Grill, 933 Iowa St. See the attached flyer for more information. Schwegler Elementary School will hold dine-out night at Freddy’s. The South Middle School seventh- and eighth-grade orchestra will perform at 7 p.m.